The Simpson family has looked after the motoring needs of Lancashire since 1947. 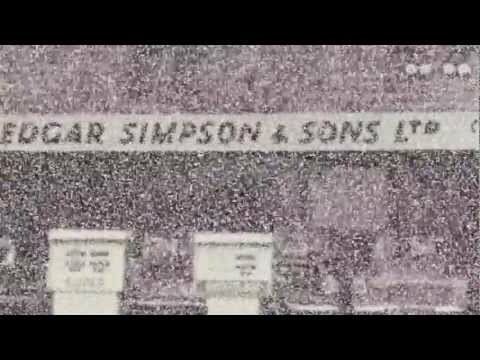 Currently run by the third generation of the Simpson's family – Neil Simpson – it is one of those rare businesses where the people who run it have their name above the door. From a customer's point of view this is priceless as everyone involved in the business strives to maintain the strength of the name and family integrity. Over the years Simpsons have held a number of franchises. One of the images in the video shows the Colne site in the sixties where the Company represented the Wartburg franchise – how many people can remember those? Other past franchises have included Mazda, Chrysler and Peugeot. ŠKODA was introduced into Colne in 2003 and as a result of some property acquisitions moved in to a SKODA designed fully corporate dealership on Burnley Road. In 2007 an opportunity presented itself to represent ŠKODA in the adjacent market of Preston. Starting initially in temporary premises on the outskirts of the city centre Simpsons quickly made their mark. Unprecedented levels of business in the first three years allowed the business to expand and relocate to more suitable and better located premises on Riversway Motor Park alongside other retailers. In 2011 Simpsons were appointed as SKODA's 'Fit for Fleet' representatives for the North West region. They are one of a tiny number of SKODA retailers who have proved they have the expertise to look after the needs of the demanding business and corporate markets. Now viewed as the UK's leading and most dynamic SKODA retailer, Simpsons is always looking to the future and will no doubt be expanding again....... and going thorough a few more changes.